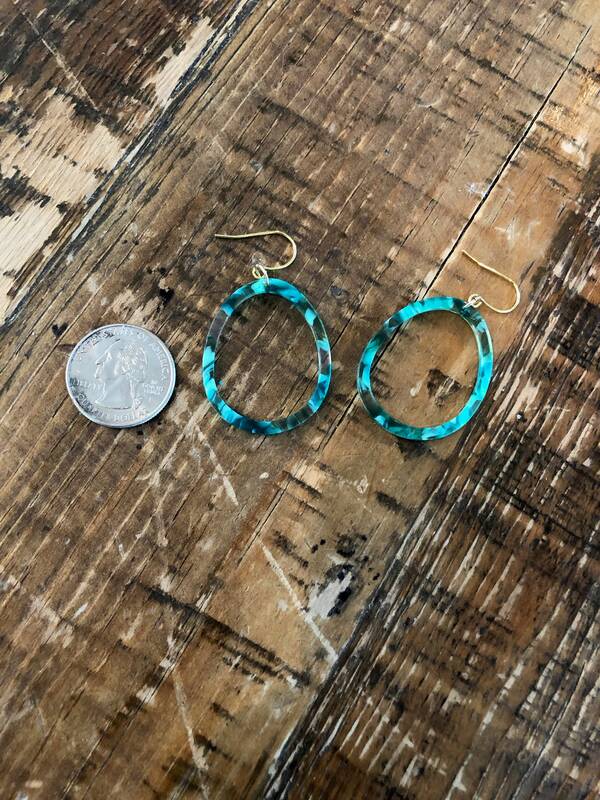 Turquoise Tortoise Shell Hoop. Tortoise Earring. Turquoise Earring. Turquoise Hoop. These are a spring/summer must-have. 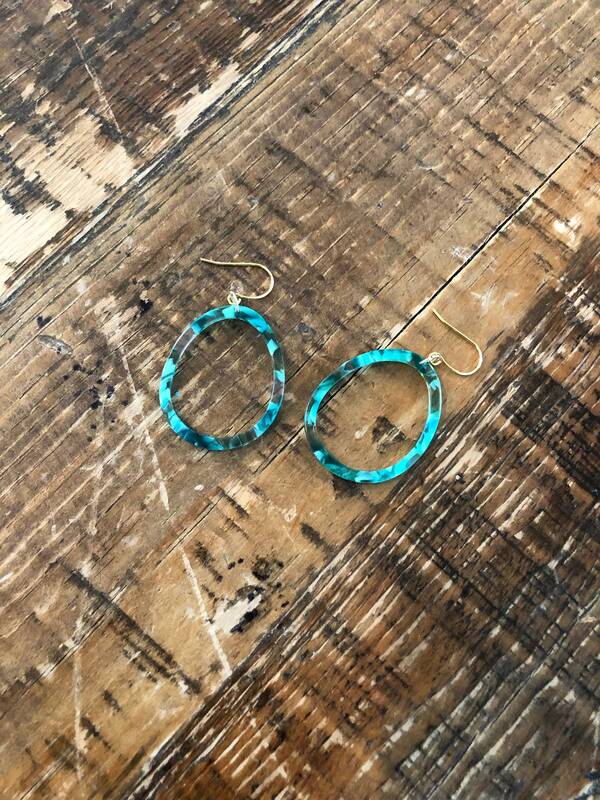 These turquoise tortoise shell hoops are on trend right now. Goes well with everything!